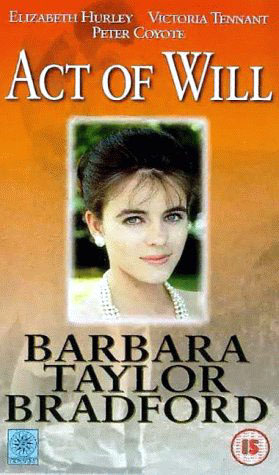 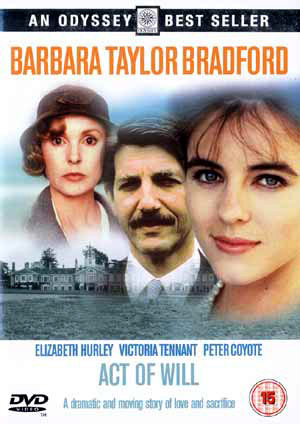 (1989) British Mini-Series - Three beautiful women - grandmother, mother and daughter - struggle bravely through five eventful decades of hidden love, high drama and sudden death in this British production, based on Barbara Taylor Bradford's bestseller, Act of Will. 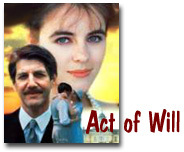 Moving from 1926 to the present, from the Yorkshire Dales to London, Paris and New York, this tale shows how each of the three women committed an act of will that changes their life and world. 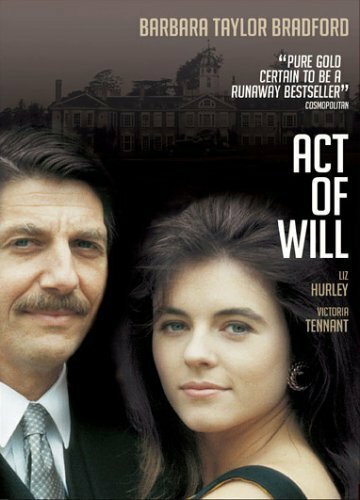 In Part I, Victoria Tennant plays Audra, the iron-willed matriarch, who devotes herself completely to her daughter Christina (Hurley), and is determined that she live the life Audra was denied cruelly by the death of her young mother and her own hasty marriage to a lowly workman. 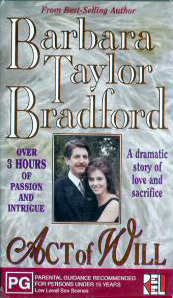 In Part II, Christina rises quickly to success amongst London's glittering elite, yet she happily risks everything in a torrid, tempestous affair with Miles Sutherland (Coyote), a married member of Parliment.